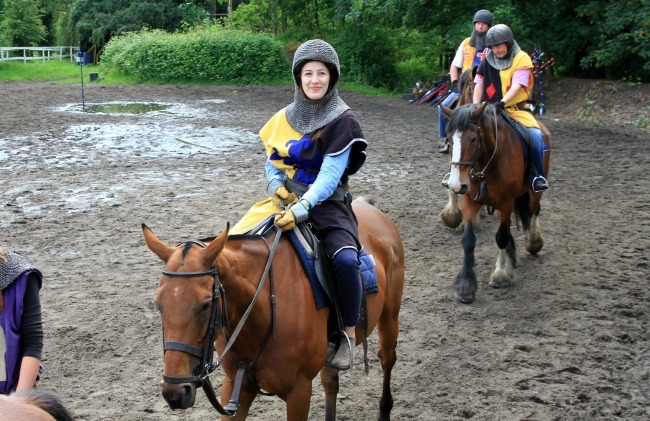 A few weeks ago, we sent our colleague Lauren on a once in a lifetime experience – Medieval Jousting in Warwickshire. 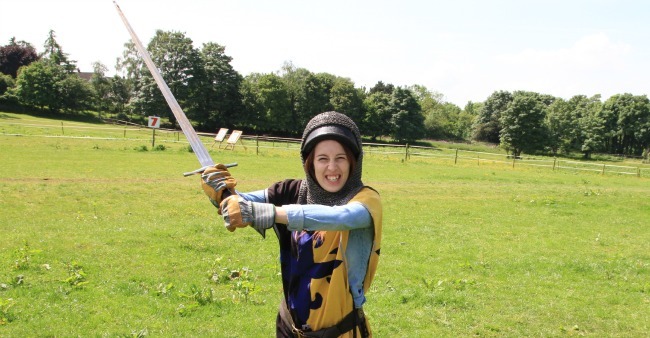 “When Angela first mentioned ‘medieval jousting’, I immediately thought of Heath Ledger in ‘A Knights Tale’ – and I couldn’t have been more spot on! Before the day, I’d never even patted a horse, let alone ridden one, so this was going to be a challenge from the very beginning. When we arrived, we were greeted by… a knight! That’s right, all staff and attendees get to dress up too – in quite literally, a medieval outfit. Once I was all dressed up, we were taken over to the main field where, to my surprise, stood about 15 other people with their armour and helmets on getting briefed by the staff about what was going to happen on the day. 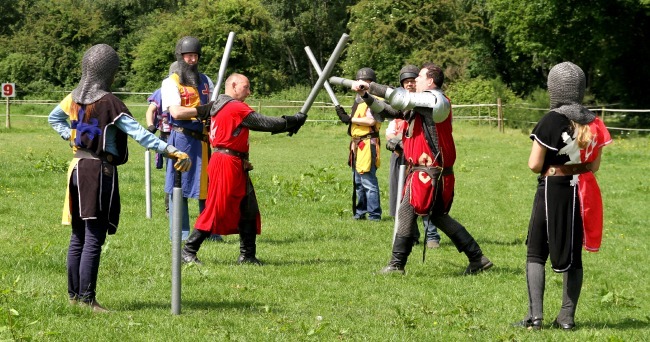 The weather was beautiful, the crowd were great and whilst chatting to the other guests, I found out that some of them had travelled from Derby to be there just because they’d seen a jousting show and wanted to try it out. One lady simply loved horses and dressing up – so this was the perfect match. 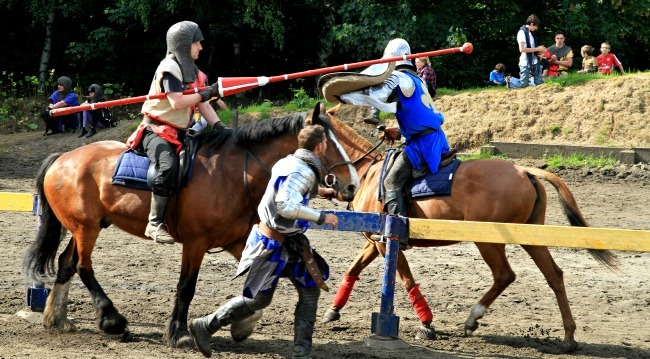 The group were split into three and rotated around the course to practice archery, sword fighting and jousting, before a tournament at the end of the day! Archery: The archery instructor was probably my favourite of the day. He showed us all of his tools and gave us a good history lesson (not the boring kind!) about where and how they were used at war. Once he had set us all up, we started shooting at the target! Sword Fighting: We were taught famous fight sequences and learnt a pretty complicated routine which we performed as a group. I thought back to my drama lessons in school and just went for it, which made it so much fun. 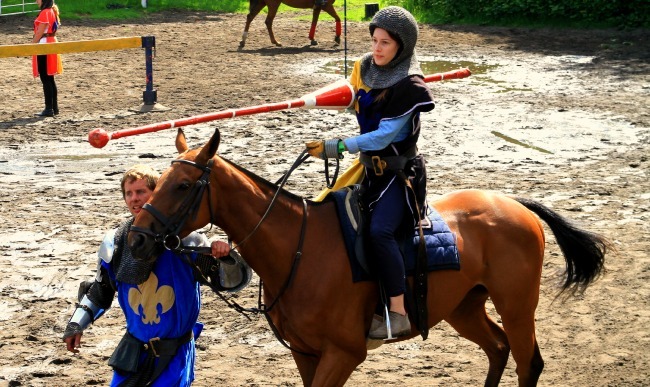 Jousting: I’m not one to get nervous or scared easily, but as soon as I realised I was sat on top of a huge horse, I went a bit pale. Typically, as soon as I got used to it, (huge thanks to the staff) you couldn’t get me off! We practiced walking and trotting with the horse with and without holding a lance. This was all practice for the tournament later on in the day when all the teams went head-to-head to see who could score the highest points. ​The Tournament: After lunch, we re-grouped and put our helmets back on. It was time to win (I mean compete! ).This was by far the best bit of the day. Family and friends gathered in the stalls to watch, and each team took it in turns to win points around the circuit. The aim of the game was to hit and pick up all the targets, whilst on the horse with your lance. The final part of the tournament was where the real excitement happened – you had to strike the opponents shield whilst riding towards them. 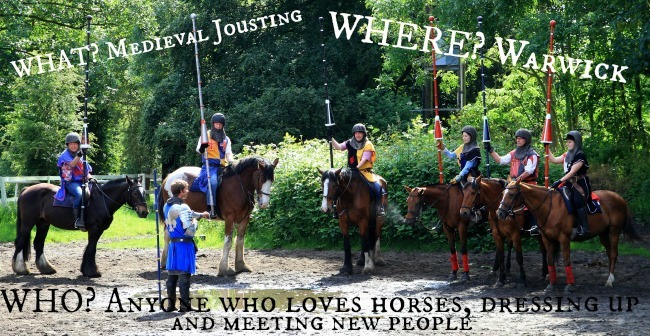 Do you fancy a bit of medieval jousting?